Lancia - I Say Ding Dong Shop - Buy Stickers, Decals & Unique Automobilia. Heuer Chronograph Laser Cut Self Adhesive Car Badge. 3". 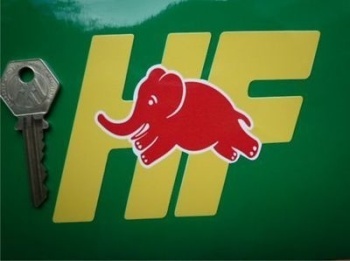 Lancia & Agip Attenzione Richiesta A Service Sticker. 3". Lancia & Agip Service Stickers. Set of 3. Lancia & Agip Servizio A Long Service Sticker. 4". Lancia & Agip Servizio A Tall Service Sticker. 3". Lancia & Duckhams Oil Service Sticker. 3". Lancia 037 1983 Monte Carlo Rally Winner Lick'n'Stick Window Sticker. 5". Lancia 037 1983 Monte Carlo Rally Winner Sticker. 7". Lancia Blue & White Circular Sticker. 6". Lancia Blue & White Circular Stickers. 4" Pair. Lancia Blue & White Shield Sticker. 12". 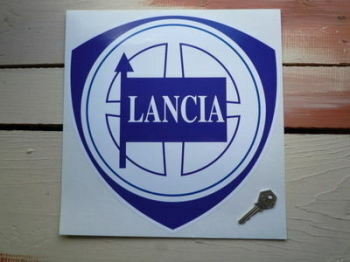 Lancia Blue & White Shield Sticker. 16". Lancia Blue & White Shield Sticker. 8". Lancia Blue & White Shield Stickers. 3", 4" or 5" Pair. Lancia Coachcraft of Evesham Dealer Sticker. 12". 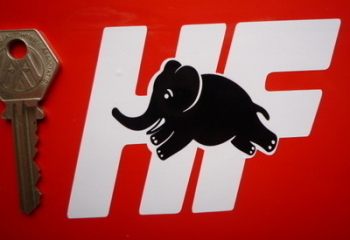 Lancia Delta HF Monte Carlo Rally Winner Sticker. Various Years. 7". Lancia Delta HF Monte Carlo Rally Winner Window Sticker. Various Years. 5". Lancia Delta Integrale 3D style HF Black & White/Gold/Silver Sticker. 85mm. Lancia Delta Integrale HF 3D Style & Troicola Sticker Set. 8.5". Lancia Delta Integrale HF 3D Tricola Style Window Sticker. 3.5". Lancia Delta Integrale HF Black & White/Gold/Silver Sticker. 3.5". 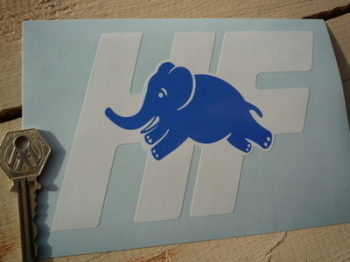 Lancia Delta Integrale HF Blue & White Sticker. 6". Lancia Delta Integrale HF Oblong Red, Yellow, & Blue Sticker. 7.25". 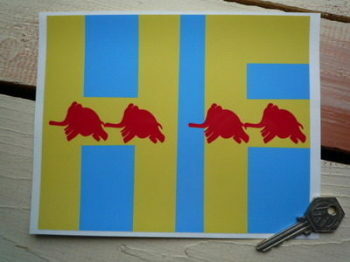 Lancia Delta Integrale HF White & Clear Window Sticker. 3.5". Lancia Delta Integrle HF Red & Yellow Sticker. 4". Lancia Delta S4 1986 Monte Carlo Rally Winner Lick'n'Stick Window Sticker. 5". Lancia Delta S4 1986 Monte Carlo Rally Winner Sticker. 7".